The release each week of the Top Ten rankings brings out so many emotions: joy ... excitement ... scanning a screen. The exercise of publicizing a list of 10 opinion polls during the winter sports season is very anodyne. And the slow death of salaried media also means there is precious little for the university sports-lovin' mind to read. Starting this week, there will be an effort to shout out the teams whose effort and striving is bringing a little light into the university sports world. 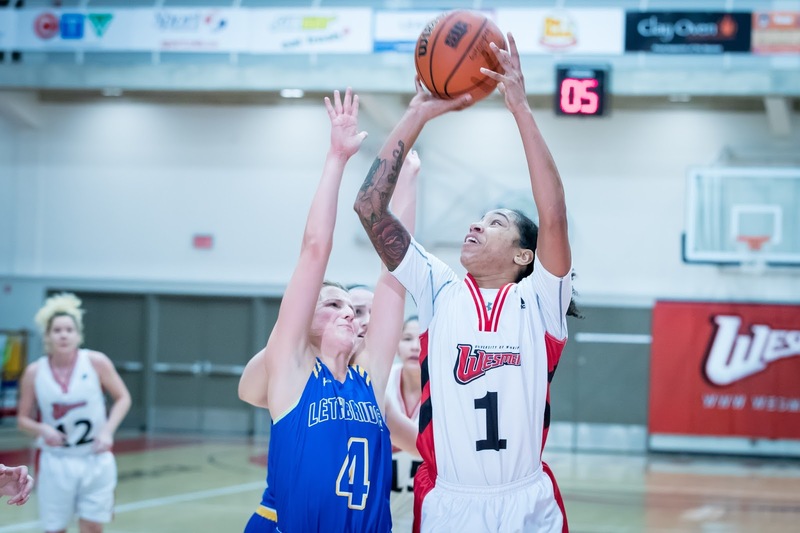 Winnipeg Wesmen women's basketball, ranked No. 8. Given what happened to the original incarnation of the Jets it is just that a point guard from Phoenix, fourth-year Antoinette Miller, has come north to lead the Wesmen's rise from the ashes. Is that Nantzed enough? A team which missed the playoffs last season is now 20-2 overall, with a nation's-best .909 winning percentage. With Miller, two Europeans and nine locals, several of whom played for coach Tanya McKay on provincial teams, the Wesmen embody the Canada West model of roster building. Back in the '90s, Winnipeg was a very famous women's basketball team. There was the 88-win streak that tied UCLA's North American all-divisions record(and since surprassed by the Connecticut Huskies of Kia Nurse fame), along with a national title three-peat from 1993-95. After taking over in 1996, McKay kept the winning times extant with a run of bronze, silver, bronze and silver at the nationals from 2001 to '04. The recent years have been something of a tranquil period, with zero playoff victories since 2009. Last season, Winnipeg missed the playoffs after a last-second loss in their final game. That has been transferred into a rallying point. I have zero idea how far they'll go. It's just great to see. Ottawa Gee-Gees men's hockey, also receiving votes! Gees coach Patrick Grandmaître rates some sort of OTY ("of the year," pronounced O-tee, please keep up). The effort of the many in re-establishing hockey after a two-season absence from the ice, due to a sexual assault scandal, goes beyond coaching or having good leaders. Ottawa is 12-1-2 since November 1 and is bound for the playoffs. Ottawa point leader Kevin Domingue's peregrinations through puckworld include playing for the QMJHL's Sherbrooke Phoenix during their first three seasons. How fitting that a Phoenix is helping lead a team that is rising from the ... stop, we get it, you remember one bit of Greek mythology from that undergraduate half-course in Classics. St. Thomas Tommies women's hockey, ranked no. 4. Well, if you like a good Big School vs. Small School showdown, hope for a STU-UBC matchup on the championship side at the nationals in Napanee, Ont., in March. The entire St. Thomas student population could fit inside the Doug Mitchell Thunderbird Sports Centre, UBC's arena. Fun fact aside, depicting St. Thomas as some small-school pesky underdog denies agency to how coach Peter Murphy, his players and staff have (presumably) see themselves. They have the bar set high. Fifth-year captain Kelty Apperson also would rate the late-bloomer label, going from self-described "fifth player on the fourth line" on her Notre Dame Hounds midget team in 2011 to a league MVP. Women's hockey might rank first among team sports where the four (or three) sport conference winners are genuinely unpredictable. St. Thomas doesn't have the AUS title and the commensurate top-4 seed for nationals on lock, of course. Apperson going abroad with the 2017 Universiade team will coincide with a stretch of road games. How hockey teams adapt to losing main cogs for three weeks right before the playoffs, well, that's going to be a whole thing.